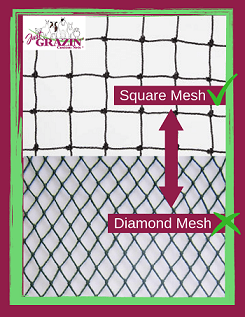 Just Grazin Custom Nets® are your go to one stop hay net shop. 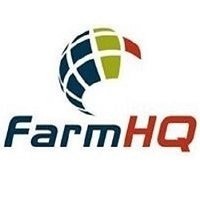 Quality slow feed hay nets, made right here in Australia for 10yrs! 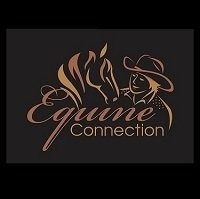 We have all your hay net needs covered, with our huge range of net sizes. 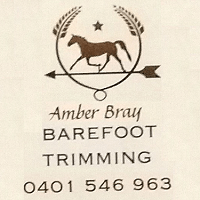 Various hole sizes are available for you to choose from, these include 3cm, 4cm & 6cm. 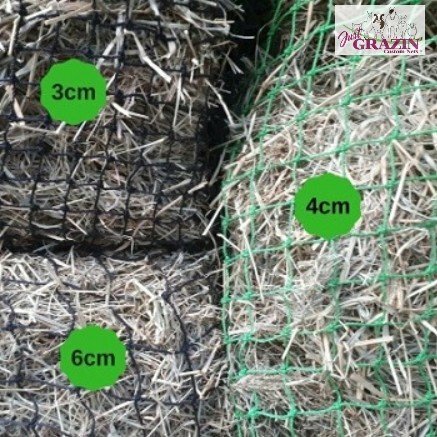 If you cant find a net which suits your needs, we can custom make a slow feed hay net for you (a FREE service we offer our customers). 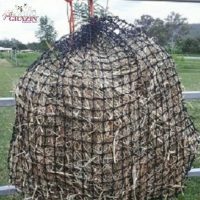 Whatever size your hay bale is, we have the hay net just for you! I only recently discovered your nets. 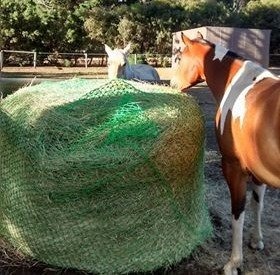 I bought a round bale net and 3 hanging nets. I have 100% got my money’s worth out of them….. These are fantastic. I bought the 60mm tuff ply round bale one 3 months ago for 2 rowdy geldings, its still going well no problems at all. 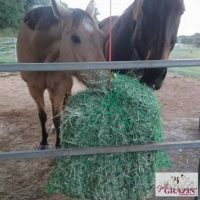 Would definitely recommend them for horse owners…..
Just Grazin Custom Nets® contain and protect your hay by reducing the amount that is wasted. 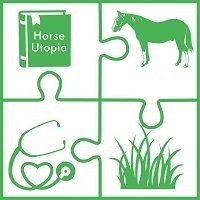 Wastage occurs particularly when horses/livestock spread the hay around, trample it into the dirt/mud and also by urination. 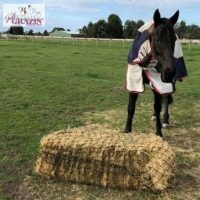 Hay can also be lost due to being blown away or across into another paddock/yard. 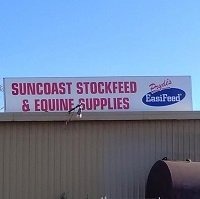 This waste is a costly expense for all horse/livestock owners. 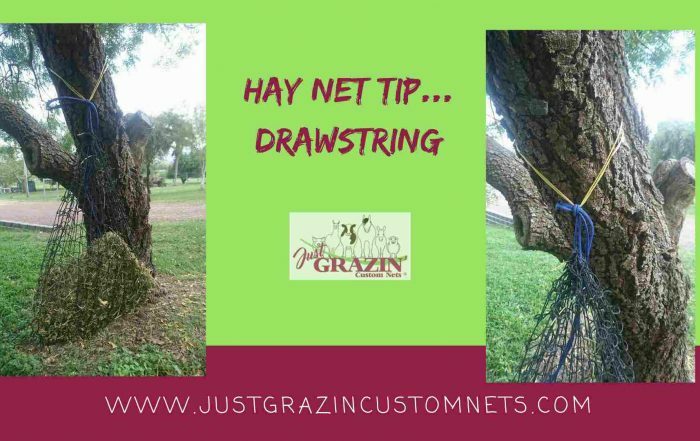 Just Grazin Custom Nets® will keep your hay where it’s supposed to be! 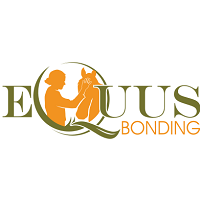 Colic – Slow feeding allows a steady continuous intake of hay, keeping the horse’s stomach full longer and their digestive tract moving. Ulcers – Slow steady consumption of forage, stimulates saliva which helps to buffer stomach acid, reducing the chance of ulcers developing. 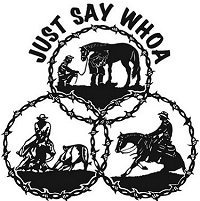 Boredom – Slowed consumption means your horse will spend more time grazin’, as nature intended. This will reduce the chances of stable vices developing due to boredom. 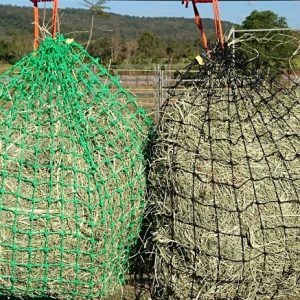 University studies have proven the use of small holed slow feed hay nets reduces the rate by which hay is consumed vs feeding hay loose or feeding with traditional large holed hay nets. 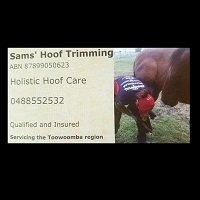 Horses naturally graze approx 18hrs a day. 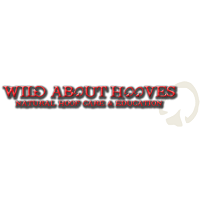 Slowed consumption helps to mimic natural grazin’ when horses don’t have access to pasture. 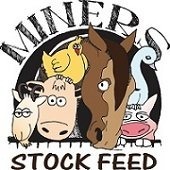 Slow feeding also helps to maintain insulin levels, especially important for laminitic & cushings affected horses. 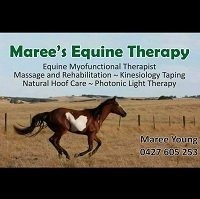 Unfortunately, not everyone has acres and acres of pasture for their horses to live on and even those that do, in Australia’s climate we all need to be mindful how we manage our land and our pasture. 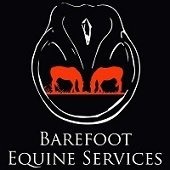 Sometimes it’s necessary to keep our horses/livestock confined to a dry lot or “sacrifice paddock”, to protect pastures from over grazing. Using a sacrifice paddock with hay supplementation, gives pasture the time it needs to regrow or rest, as once overgrazed, pasture takes A LOT longer to recover. 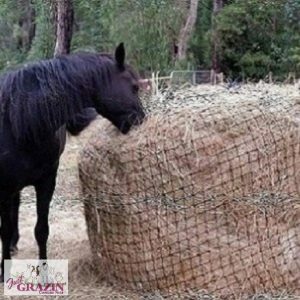 Just Grazin Custom Nets® have an extensive range of hay nets to assist with feeding out hay during these times, be that a full standard bale or entire round bale that’s needed to supply your animals with their necessary fibre requirements while they are off the pasture. 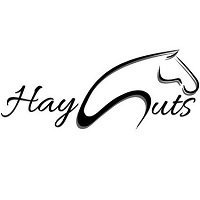 Why Soak Hay? 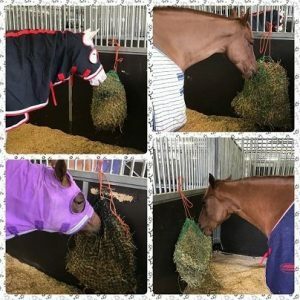 – Studies have shown soaking hay can reduce respirable particle concentration (dust/mold) by at least 88%. Dust particles can cause or worsen respiratory problems. 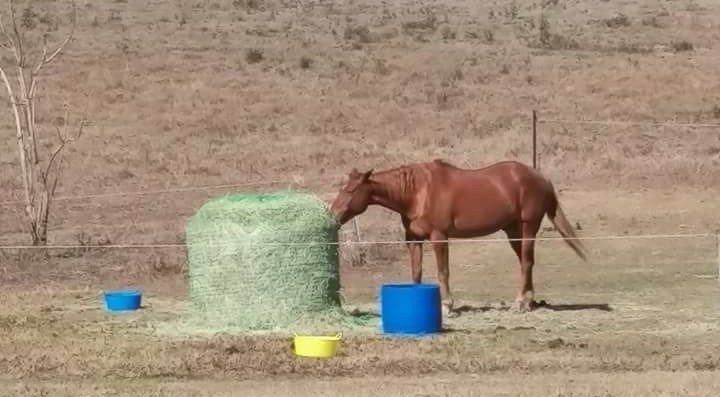 Some horse owners soak their hay to help reduce the amount of sugar content, for their laminitic or insulin resistant horses. 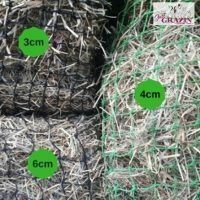 How hay nets help? 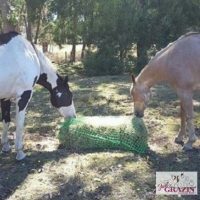 – Simply fill your Just Grazin Custom Net® with hay, then fully submerge in a wheelie bin or large container (you may need to put a rock or brick on top to keep it down) the hay net keeps the hay together nicely. 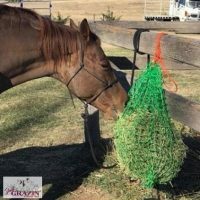 If soaking hay needs to be a regularly part of your routine, the added bonus is you can install a pulley above the hay net (wet hay can be very heavy) then leave it hanging to drain. 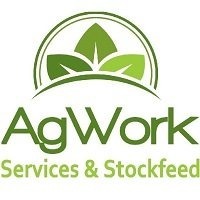 2019 marks 10yrs since making our first slow feed hay net! 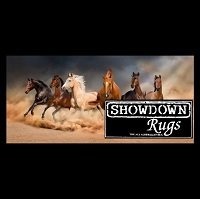 To celebrate we are running monthly giveaways on our facebook page. 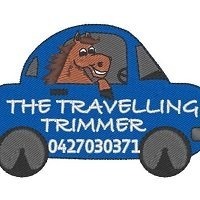 Like and follow our facebook page to keep in touch. Each month we’ll announce our giveaway competition. 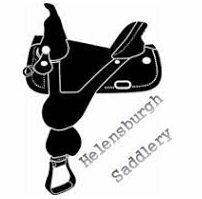 We have some FANTASTIC prizes up for grabs throughout the year!